Ignition Digital offers the complete package for your digital needs: a website, a mobile app, a database, a logo—anything really! 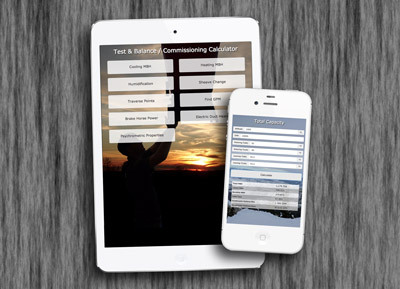 Need a custom iPhone/iPad, Android, or Windows Phone app? 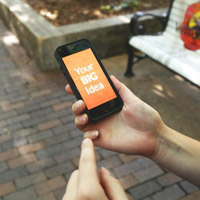 We specialize in native and HTML5-based mobile application development. Be it a simple presence page or a full-blown web application, we'll design your next web-based solution from the ground up using the latest technologies. Need a custom email address for your domain? 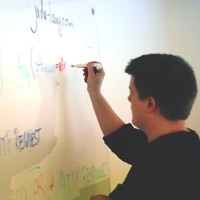 How about e-commerce support, a blog, or a newsletter signup? Yep, we've got you covered. 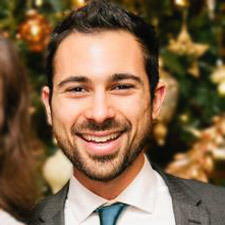 Ignition Digital prides itself on its unique method of tackling real-world problems. Let us help you with your next project or improve your internal workflow in ways you didn't know you needed. Our services are not limited to software. We will happily meet your hardware needs with custom networking solutions, database installations, infrastructure optimization, and more. Our design team is ready and willing to revamp your existing site, or brand your next start-up from the ground-up. 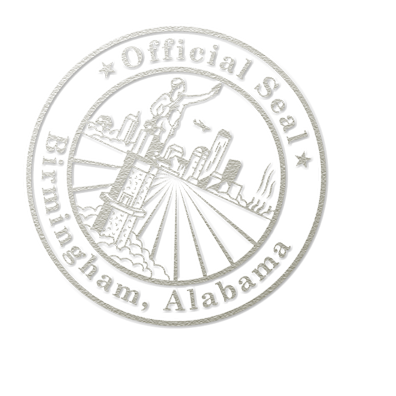 We design custom logos, business cards, and produce promo videos. We take a unique approach to making you happy. First things first. Maybe you think it's obvious. Maybe creepy. But before anything else, we think it's important to get to know you, your ambitions, and your goals to establish an actual relationship before breaking ground on your next "Big Idea." Honestly, we think that coding is one of the least significant things we do around here. Careful planning, designing a solid infrastructure, and good communication are all crucial before writing the first lick of code. Transparency is fundamental, and you have every right to know what we're doing behind the curtain. In fact, there is no curtain. We'll constantly re-prioritize as your needs change, and deliver functional pieces of your product in 1-2 week iterations. In case you didn't already know, software is never really finished. Adding new features, discovering bugs, and providing technical support all play in to the mix. Like we said, maintaining a lasting relationship is key! 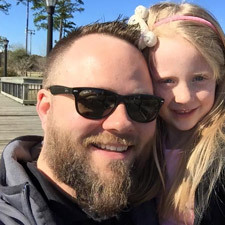 The best way to illustrate the breadth of our services is to show you a few of our happy customers. We love getting to know you, so here's a bit about us! If there's one ambition we all share, it's to leave the world in slightly better shape than we found it. We're committed to bringing you a fantastic experience and stellar solutions. Not convinced? Let us prove it to you! Let us know what we can solve for you. 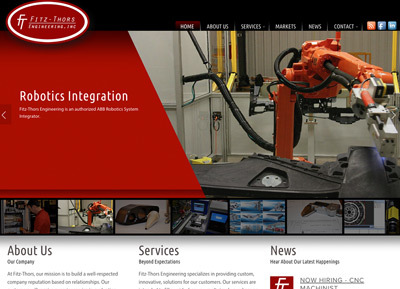 As with many of our clients, Fitz-Thors came to us with an existing website, but one that was not very mobile-friendly. Using the latest technologies and responsive design principles, their site now looks fantastic on any device. And with the ease of our Content Management System (CMS), they can edit/maintain page content themselves with little more effort than it takes to write an email. 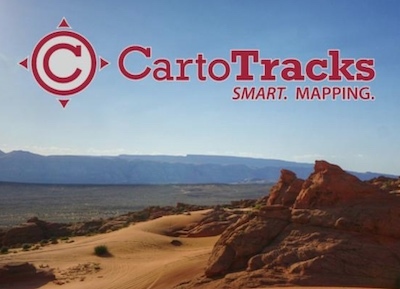 CartoTracks can build you any type of map you need. Navigating through offroad trails or events in the middle of the desert like King of the Hammers? 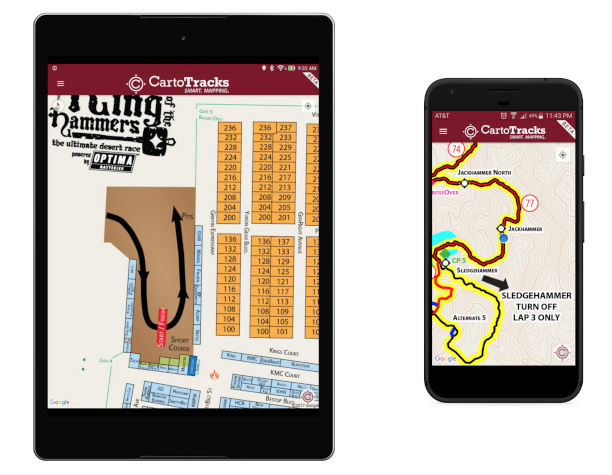 CartoTracks maps can visualize whatever your venue has to offer and doesn't need an internet connection once you've downloaded them! 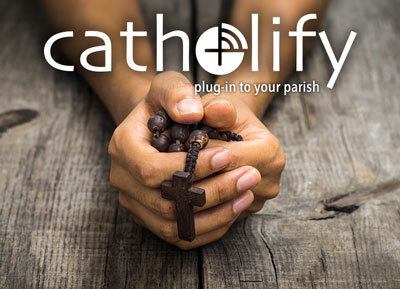 Catholify is a social media app we built for the Catholic church. Parishes and dioceses can reach their parishioners in an entirely new and interactive way with push notifications, service times, digital bulletins, and more. 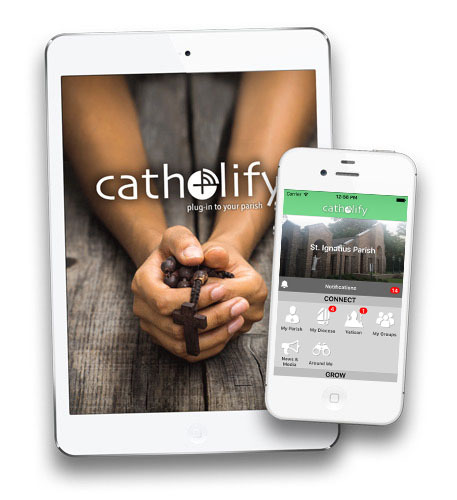 Additionally, Catholify places countless Catholic resources at your fingertips, such as the Bible, Catechism, daily Mass readings, and Rosary. Available now in the iOS App Store and on Google Play. 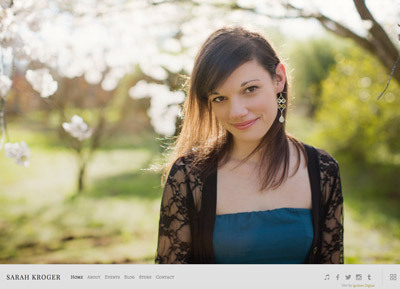 Sarah Kroger is a world-renowned Christian worship leader and musician. We meet the demands of her ever-growing ministry through a customized website/blog/CMS, email services, booking & newsletter subscriptions, and more. Let us do the same for you! 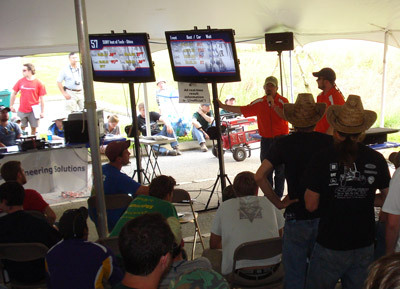 National True-Test Inc. is an HVAC company with loads of industry experience. 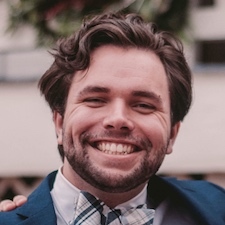 When Billy approached us with spreadsheets full of intricate calculations and asked if we could convert them into an app, we were happy to make it a reality. 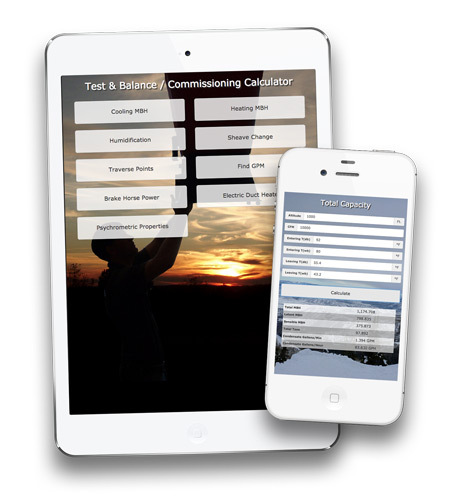 The Test & Balance / Commissioning Calculator enables him and his employees to field test their equipment and installations with ease, and is available for sale in the iOS App Store and on Google Play. 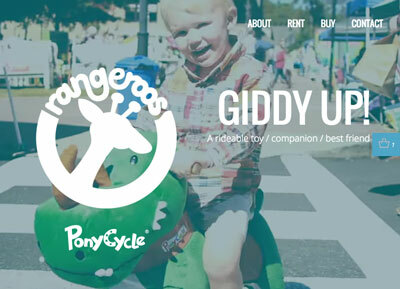 Take it from us, there is nothing quite like riding a Rangeroo! These adorable, self-powered toys are sure to excite children (and children-at-heart) of all ages. We loved shooting the promotional video and building an e-commerce website for Phyllis, and anticipate seeing Rangeroos flying all over the southeast! Kevin is making a big impact in the world with Smart Solutions. 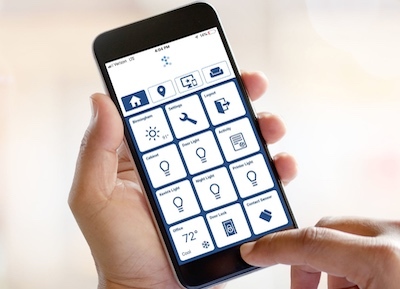 Designed to assist those with various mobility impairments, Smart Care makes it easier than ever to control your home through voice, Bluetooth switches, and even eye-tracking. It is also designed to assist caregivers in monitoring the home and their clients more effectively. We built iOS and Windows UWP apps for Smart Solutions to use in both the residential and clinical industries, as well as custom interfacing with medical BLE devices such as smart blood pressure monitors and pulse oximetry. 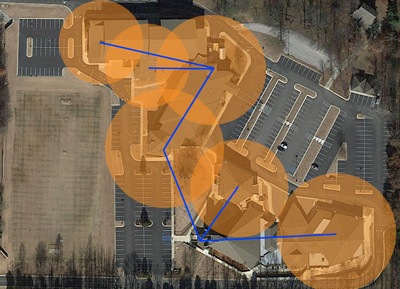 St. John's had quite a mess of routers, modems, and multiple ISPs spread across their campus. 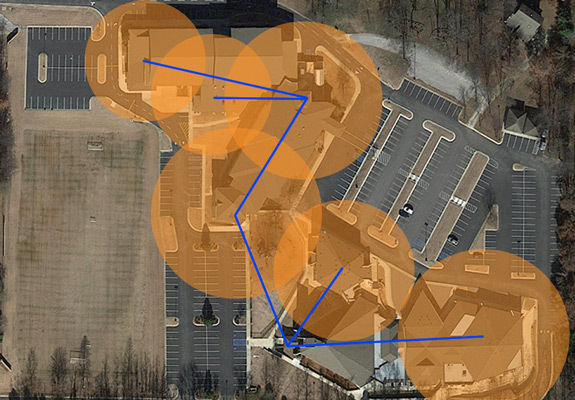 After sitting down and ironing out their "hot spots," we were able to provide a site-wide installation serving WiFi to all of their facilities from a single ISP connection.